For anyone wondering how to tell the difference between a pale ale and an IPA or what food pairs best with different beers, The Tremont House, A Wyndham Grand® Hotel, seeks to answer those questions and more with its first-ever “Craft Beer 101 Weekend” on June 5-7, 2015. Galveston Island Brewing Company Owner and Head Brewer Mark Dell’Osso will take hotel guests through the basics and nuances of craft beer, the art of making beer and beer pairings during a weekend of activities designed for those new to the art of Craft Beer as well as seasoned ale lovers. “The number of high-quality, sustainable, local breweries in Texas is sparking national attention, as it has become one of the fastest growing craft beer states in the country," said Dell’Osso. Over ten different beers are brewed at Galveston’s largest and only production brewery, Galveston Island Brewery Company. Many are specialty brews and only available at the brewery taproom, which will be included in the tasting and tour event. The weekend package, starting at $299 per night, begins on Friday with a “What is Craft Beer?” session, where Dell’Osso will discuss the basics of craft beer as guests enjoy different styles with a selection of tasty beer bites. On Saturday, participants will take an afternoon brewery tour with the owner as part of “The Art of Making Beer,” a trip that will also include sampling and an overview of craft beer ingredients. To top off the craft beer weekend, guests will enjoy a four course seated dinner at Tremont House paired with Galveston Island Brewing Company’s current offerings. During dinner, the education on craft beer will continue as Dell’Osso explains the unique taste of each craft beer and how it enhances each entrée. The package includes accommodations for two for two nights, valet parking, Friday’s craft beer talk and tasting and Saturday’s brewery tour and beer pairing dinner. Reservations are only available by booking direct by calling (409) 763-0300. Please specify Tremont House reservations. For details, visit www.TheTremontHouse.com. During downtime, guests are encouraged to explore Galveston’s historic Strand District which is home to several taverns that offer a variety of craft beer on tap. 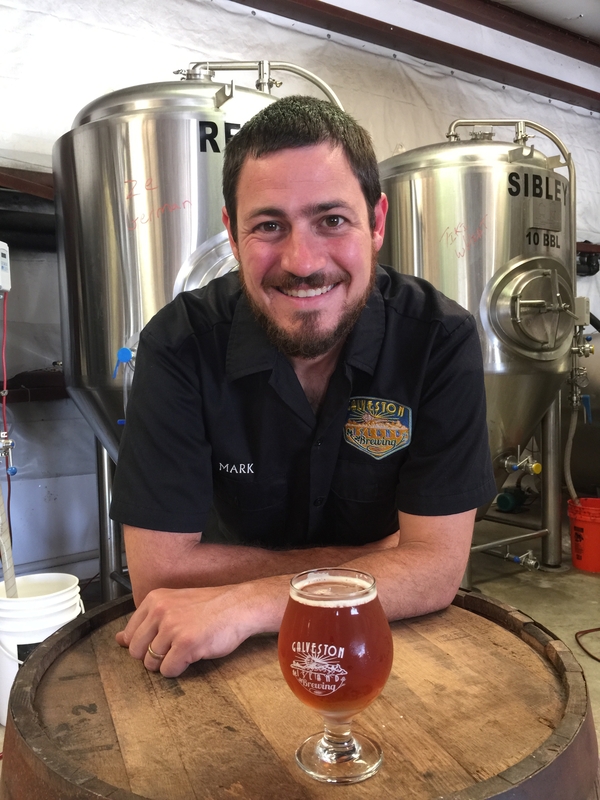 Galveston Island Brewing opened its doors in 2014 following five years of research and planning by owner and head brewer Mark Dell’Osso. Like many brewers, Mark started brewing his own award-winning home brewed beer over seven years ago in his garage. With the support of his family and friends, he followed his passion and opened a brewery doing much of the work himself. Galveston Island Brewing Company now offers more than ten different craft beers including many unique one time beers. The brewery has become one of Galveston's best kept secrets. "The tap room," complete with yard games and a playground, is open daily, allowing the public to enjoy locally brewed beer right from the source. Weekly brewery tours are free and available on Saturdays at 1pm. For more information, visit www.galvestonislandbrewing.com. Part of Wyndham Hotel Group, Wyndham Hotels and Resorts offers upscale hotel and resort accommodations at more than 190 properties throughout the United States, Canada, Mexico, Central and South America, the Caribbean, Europe, the Middle East and China. All Wyndham® hotels are either franchised by Wyndham Hotels and Resorts, LLC or managed by Wyndham Hotel Management, Inc., or one of its affiliates. Additional information and reservations for all Wyndham hotels are available by visiting www.wyndham.com. Travelers have the opportunity to earn and redeem points through Wyndham Rewards®, the brand’s guest loyalty program, which can be joined for free at www.wyndhamrewards.com. Wyndham Hotel Group is the world’s largest and most diverse hotel company, encompassing approximately 7,650 hotels and 661,000 rooms in 70 countries. Additional information is available at www.wyndhamworldwide.com. For more information about hotel franchising opportunities visit www.whgdevelopment.com. Mark Dell'Osso is the owner and head brewer of Galveston Island Brewing. Dell'Osso will take center stage during "Craft Beer 101" Weekend at The Tremont House on June 5-7, 2015.